Today it is already half of December and I must admit that it is very, very slow industry today. Not just new programs are not starting but online today mostly is just long-term projects what can afford to pay because the term is long and usually interest is quite low. 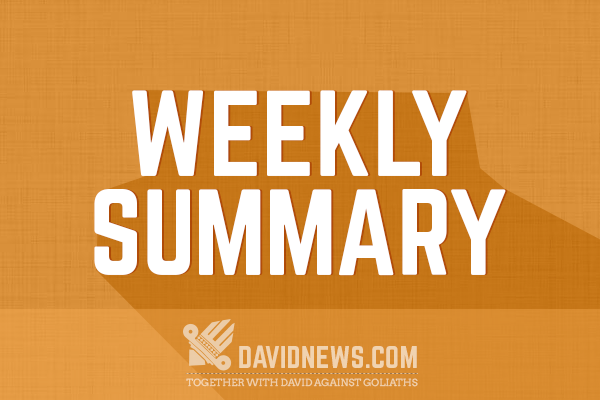 Anyways, things are moving forward and today I'm publishing one of the shortest "weekly summary" articles what I have ever published. Prime Bankers - For now project is keeping withdrawals longer than ever before, so please for now do not invest it is possible that the project is closing doors for customers. Atrex Trade for now is both online and monitored for 376 days and this project is third longest monitored project in DavidNews.com HYIP monitor. Being online for more than one year just says that project is operated by professional administrator and he knows how to provide good results for all investors. Dear investors, please note that starting from December 25nd and until 7rd of January we will not be engaged into trading process, thus we will pause investment period. We hope you are enjoy holiday time and we wish you all the best in the upcoming year. So, in newsletter administration informs us that they will suspend "trading activity" starting from 25th December till 7th of January. Usually such trading suspension does not end with something good, so let's see how things will go on with this project, by starting from the Christmas I will move the project to WAITING status and if payments will resume normally on 2016 project will receive back PAYING status. This "weekly summary" was very short and this short summary can be only in December when every year HYIP industry activity is the lowest ever. Of course, things will not end here and within few weeks activity will return and again we will be able to make lots of profit from this industry. But if you have something to say do not keep it for yourself and share that with others in the DavidNews.com chat. Have a successful week and see you around!